Q1: How can I decide which model hydraulic cylinder to buy? A: Firstly, you can check our catalogue of the hydraulic cylinder, if there is not what you need, we can customize as per your requirements. Q2: Can I have a specification sheet of your hydraulic cylinder? A: For sure. amount this will be 50%T/T in advance and the balance will be paid before delivering. Q4: How long it will take from ordering to delivering? A: Around 15-25 days, if any changes, we will inform you in advance. Q5: How about the warranty and after-sale service? A: One-year warranty, and we can offer you long-distance after-sale service 7*24h. Application: Engineering machinery, Mine, shipping, Metallurgy, Water conservancy, Offshore, agriculture, etc. Seal: Hallite, Parker, Merkel, DingZing, etc. Paint: Red, Grey, Yellow, Black, etc. Certificate: ABS, Lloyds, SGS, etc. Package: Bubble-wrap packing, then in wooden case. We also can design by ourselves. 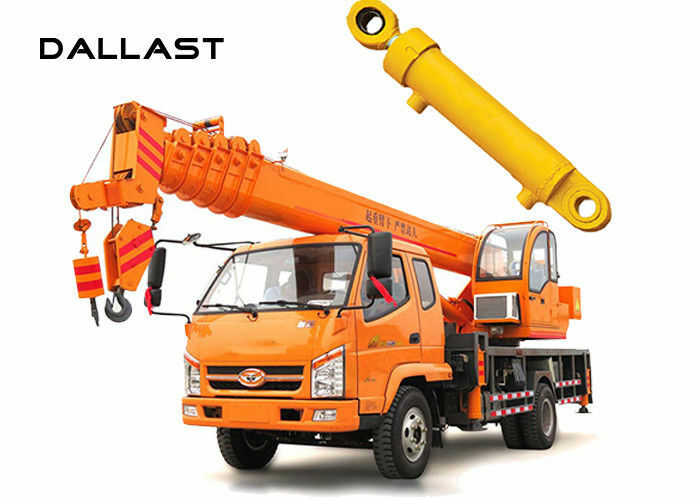 Dallast Technology Co., Ltd specializes in the design, production, sale and technical support of Hydraulic Cylinders for plastic injection and die casting mold applications. Dallast’s strategy consists of providing application oriented solutions, rather than simple products. Offering their standard 160 ISO 4 tie bar cylinders to compact block cylinders and locking cylinders to suit most mold applications.